Love this outfit! 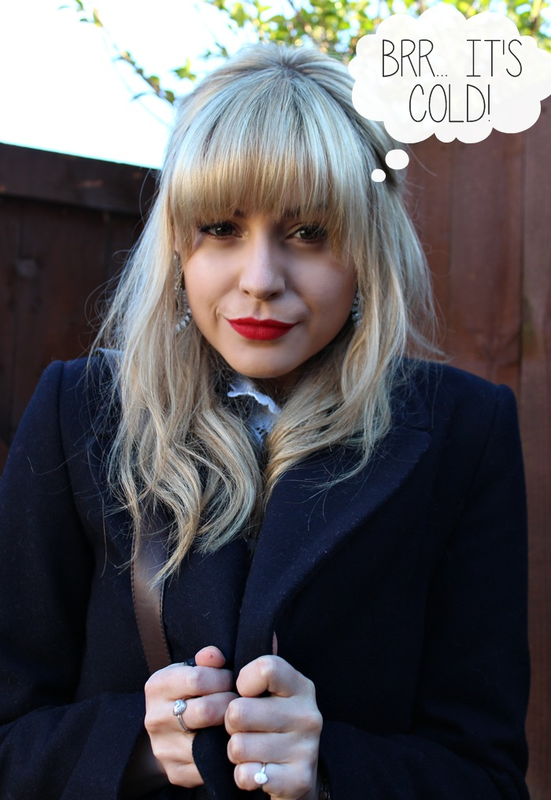 You make me really want a fringe! Your hair is so beaut. Love the collar! Brave going bare legged in this weather! I love that jumper as the lace collar is so pretty on you and I love your lipstick! You look incredible! That jumper is wonderful, I'll definitely have to keep my eyes out for that in my local Primark! Lovely outfit, you're always so beautifully dressed and I love your new hair! That shirt is lovely, the lace collar just looks so beautiful over the jumper, you look lovely!! The out fit looks amazing, am loving the coat and your hair. You really suit the fringe. 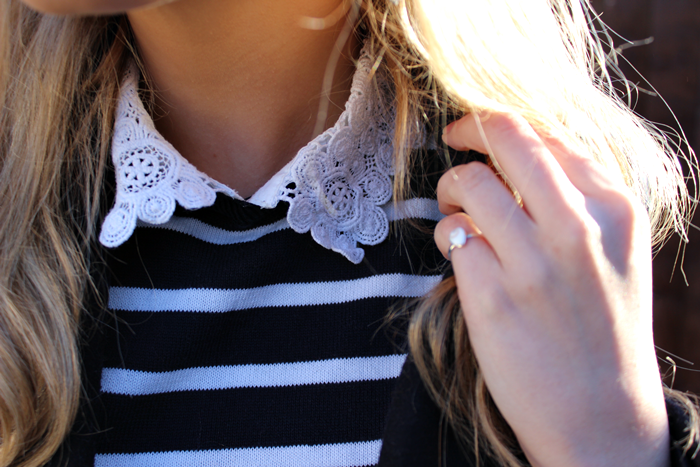 the detail on the collar of this shirt is beaut, I love everything you style. plus i wish i could pull off red lipstick as well as you! 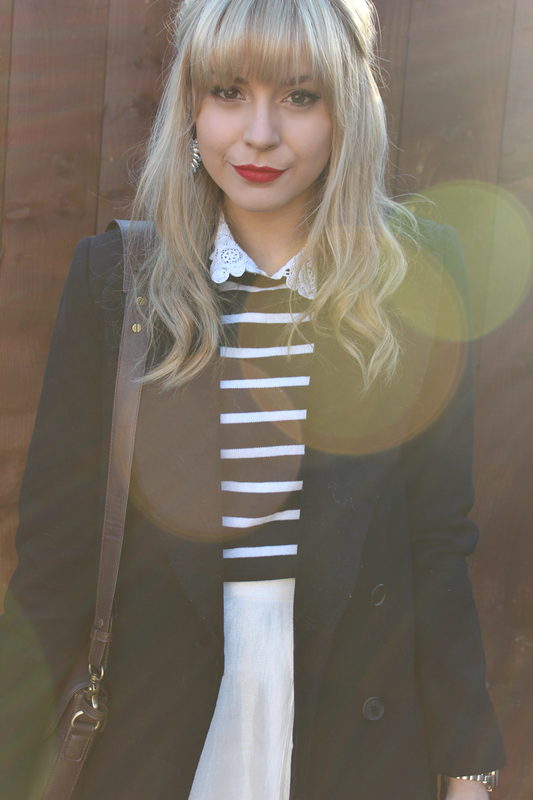 Absolutely love the striped jumper, the collar on it is gorgeous! Also do you know if H&M still sell those boots? I've recently discovered your blog and I'm so glad I have cos I'm a little bit in love with your style! Such a cute outfit! I absolutely love your hair and makeup! What kind of products do you use?! Flawless!